Big Wheel is a ferris wheel in Adventure Alley at Six Flags Great Adventure. While it's not the best, it is also recommended. 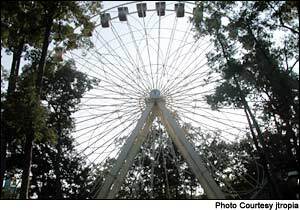 A 150-foot wheel, with views of the park and surrounding area.